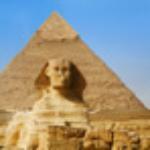 I might be biased to give a 5 star, well it's simply because i am a freemason. It's just a stone throw away from my hotel. From now and again I went to this café for some food and take away, the price is good, staff friendly. Good cafe for an all day breakfast or choice of lunches/dinner. Plenty of seating. Nice and spacious/airy. Crackin' cafe for any type of meal! We just grabbed a quick bite while doing our laundry a few doors down. Food was good, it's a regular neighbourhood diner. Very popular with locals, workmen and those drawn into the area by events at the excel. 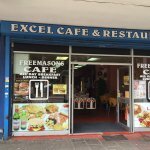 Good quality breakfasts and lunches, generous portions, nice staff. Good coffee! Have eaten here many times and will again and again. 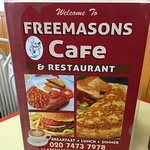 Get quick answers from Freemason's Cafe staff and past visitors. On the opposite side of Custom House DLR station from the Excel Centre! Easy to find in the precinct of shops!